I’ve been meaning to write this post for a week now, but I’ve been buried in boxes, tape, newspapers and bubblewrap for the last few days. Better late than never, right? So Saturday September 19th-22nd we were in Seattle with the main intention of finding and possibly buying or renting a house. Dave and I had been using Redfin (thanks to our friend Kate who told me about it) for the past month or so browsing and favoriting places. The market in Seattle moves so fast and we kept getting emails that houses were pending every couple of days, which was pretty discouraging. We’d been talking to our realtor for a while so we had a list of places we wanted to see. So as soon as we rented our car from the airport we drove to our friend’s house in West Seattle and carpooled to go to the open houses. I know a lot of you girls are bachelor fans so you may know who this guy is! Jason Mesnick was the Bachelor a few years ago. One day I was watching Celebrity Wife Swap when Jason and Molly Mesnick switched homes with Sean and Catherine Lowe. Jason mentioned that he was a real estate agent in Seattle so I looked up his website and decided to email him. He emailed me back the next day and we scheduled a phone call and chatted real estate with a side of Bachelor talk too. 🙂 He’s very friendly and personable and is very open about his time on the show. If anyone is looking for real estate in Seattle, I’d highly recommend him! I won’t bore you all with pictures of the places we looked at because we didn’t end up loving any of the places enough to buy them. It was also a lot of pressure to find a home in such a short time. So we ended up finding a 6 month house rental to give us time to find a place and not be rushed. After our full day of house hunting, we met up with our friend Kate had dinner in Alaska Junction and stopped for a cupcake after at Cupcake Royale. It was really good and I’m pretty picky about frosting that is usually too thick and super sweet. But this place was great! I can’t get to get back here and try other ones. 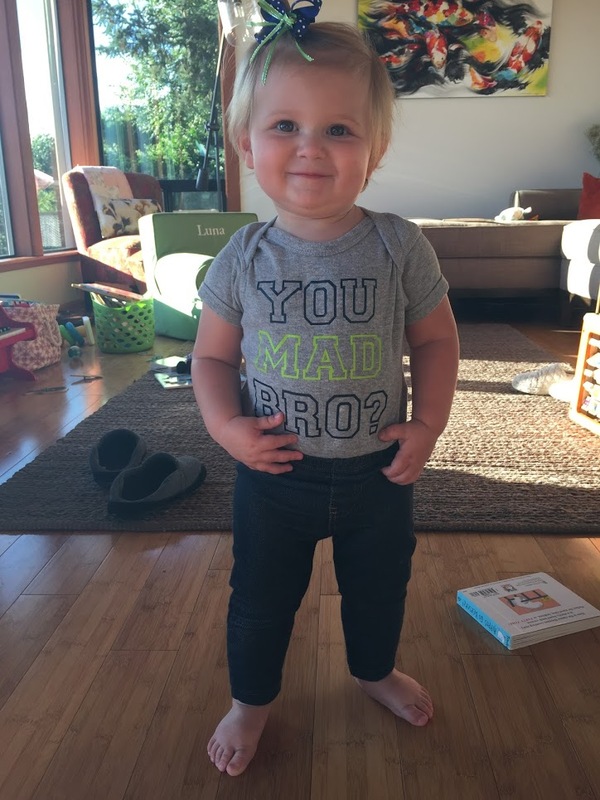 Our good friends Jared and Marlee, have the cutest little Seahawks fan I’ve ever seen. She melts my heart. One of the things I’m most looking forward to is being closer to this little nugget. 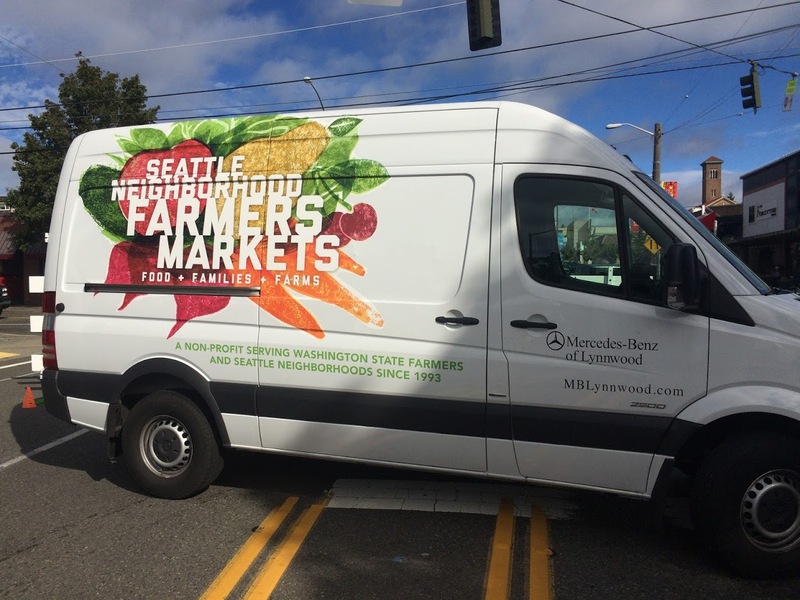 On Sunday we went to the West Seattle farmer’s market which was so great. There were a lot of vegetables and it definitely felt like fall. I’m really looking forward to shopping here on the weekends! The flowers they have there are beautiful! 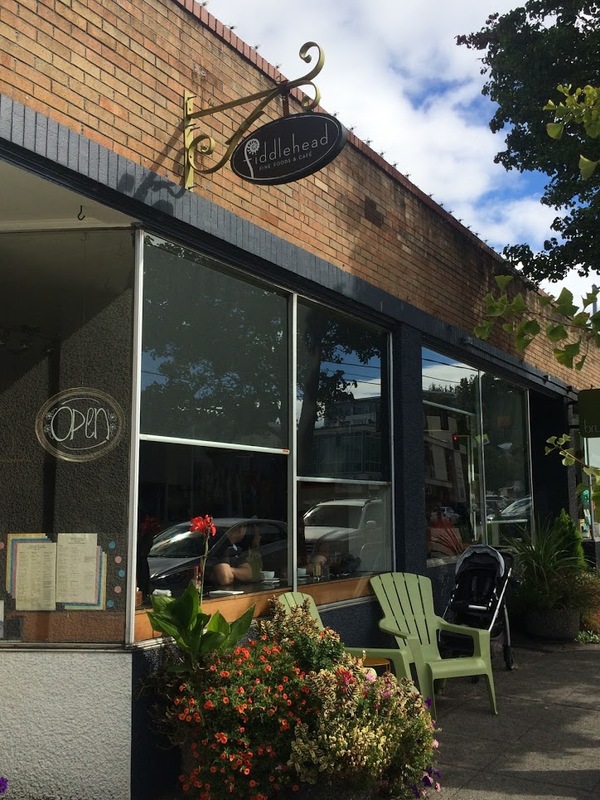 Kate suggested we eat at Fiddlehead which was down the street from the farmer’s market. We waited for quite a while but it was really good. I’ve recently become infatuated with biscuits and jam and theirs were great! I will be back tomorrow to share part 2 of our Seattle trip. I’d love your recommendations for the Seattle area. I seriously have such a long list already of places I want to see and things I want to do, I am so excited! It felt great to be our new city and to walk around the neighborhoods and get a feel. Seattle Trip Part 2- Rattlesnake Ledge Hike! Great pictures! Moving is rough. Good luck! Thanks so much for visiting and commenting today Morgan! Heading over now to see your blog! That’s so cool Jason is your real estate agent! You meet the most interesting people!! 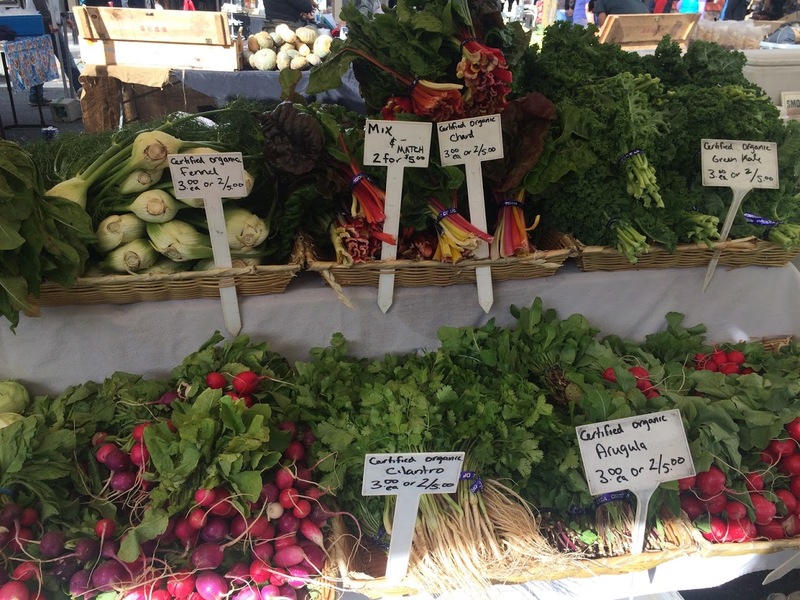 The fruits and veggies at the market make me swoon…Seattle looks like such a cool city! Also, that little munchkin is ADORABLE! Hah thanks Lauren. It’s been a pretty awesome couple of weeks around here! 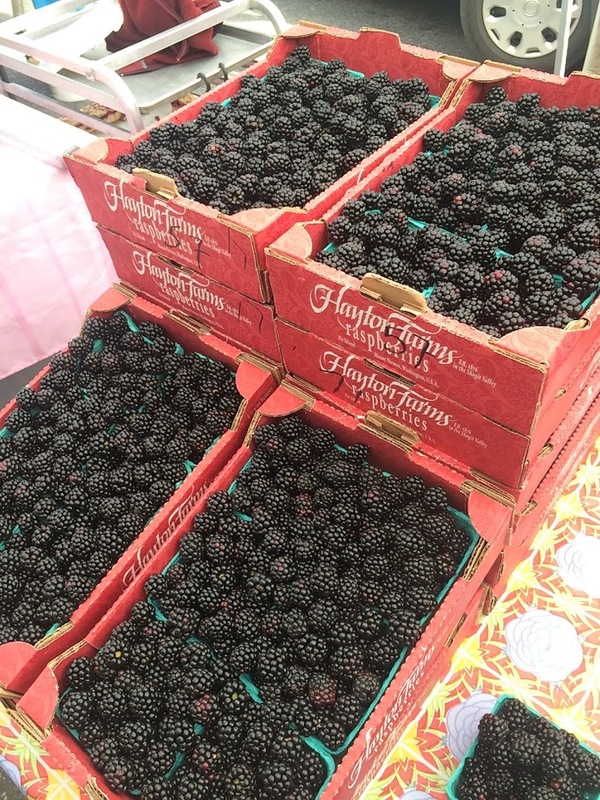 I’m really excited about the farmer’s markets up in Seattle, they’re all so pretty. Jason! How cool is that! I’m the same exact way with icing, it’s hardly ever prefect but when I do find the perfect kind I want to go back all the time! We were a little eager thinking we could find a place so quickly. So i’m glad we are taking our time now! It’s much less stressful too! They have Molly’s cupcakes in Chicago too! 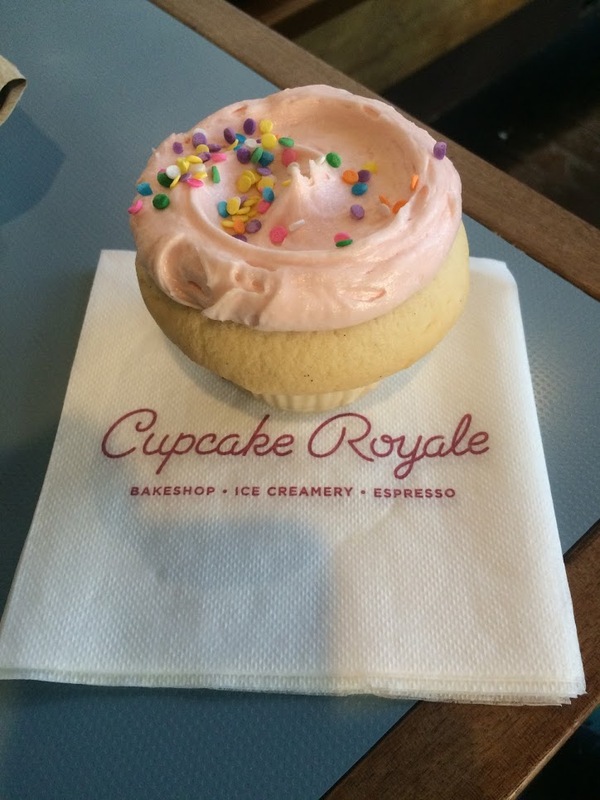 I’m so excited to go back to cupcake royale and try their other flavors! Good luck with your house hunting! It can really be tough especially if you’re looking out of state 😦 How awesome you got to work with a guy on the Bachelor he seems cool (not that I know him personally haha). Yes it will be SO much easier to house hunt when we are actually living up there and can take our time! Hah yes Jason is great! We are so glad he’s been so helpful! Hahah love a good play on words! 😉 you took the (cup) cake on that one! Hahah! That made me chuckle Kylie! I’m just starting to like jam again I didn’t eat it for a long time. I completely feel you about wanting more time to find a place! Every house that we have liked has sold within a day or two. It’s so hard to make such a quick decision but that just seems to be the housing market these days, it’s crazy! Seattle looks so nice, looking forward to part two! Yea it’s crazy how fast the market is moving these days! We were not expecting that at all. Hopefully we both find our places soon! Fingers crossed. Yay I love so much about this! I’m excited to explore together. I haven’t spent all that much time in the city actually. I think my favorite thing about this post is the tiny seahawks fan 🙂 SO ADORABLE! Aw me too Katie! 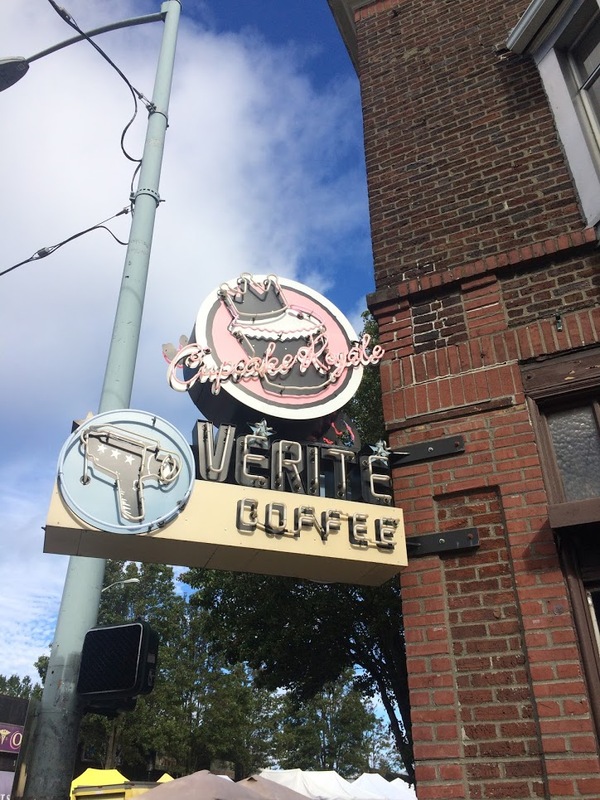 Seriously there is SO much to do in and around Seattle! Have you been to Vancouver? I really want to go on the suspension bridge! I really liked it! Can’t wait to find other good cupcake shops. Any recommendations Mil? 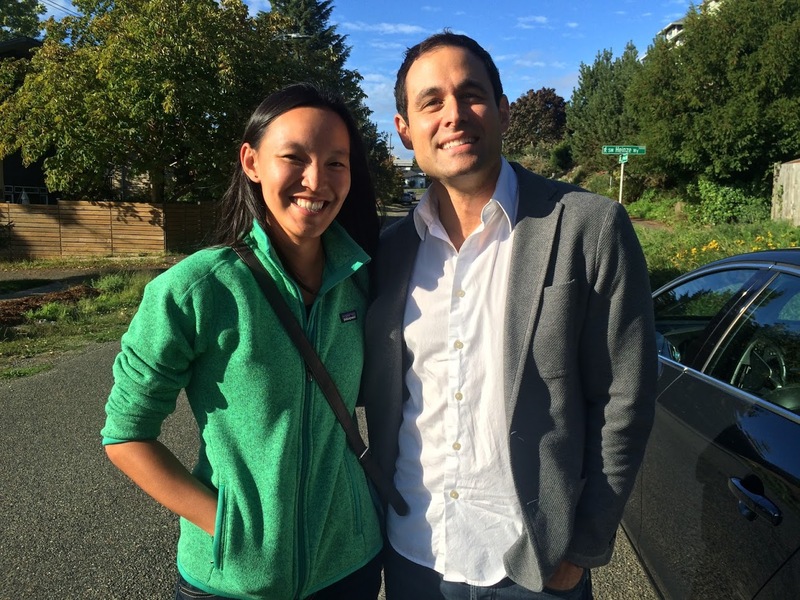 Jason Mesnick being your realtor is the coolest thing I have ever heard. I love how he and Molly have real jobs and aren’t fame seekers. Hope he finds your something great when you are ready to buy! 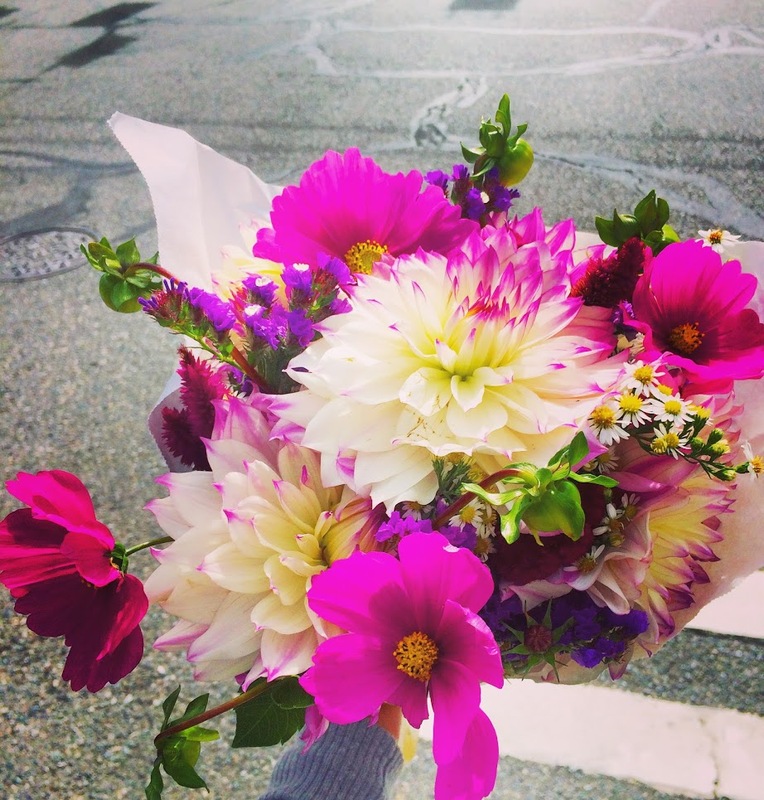 Your weekend looks so fun – Seattle seems like such a cool city! Thanks for linking up this week! Haha it’s pretty cool! Especially being the big bachelor fan that I am. 🙂 thanks for hosting and visiting my blog today Ashley! Seattle has so much character! I enjoyed seeing your photos. I’m glad you were able to find a house to rent. 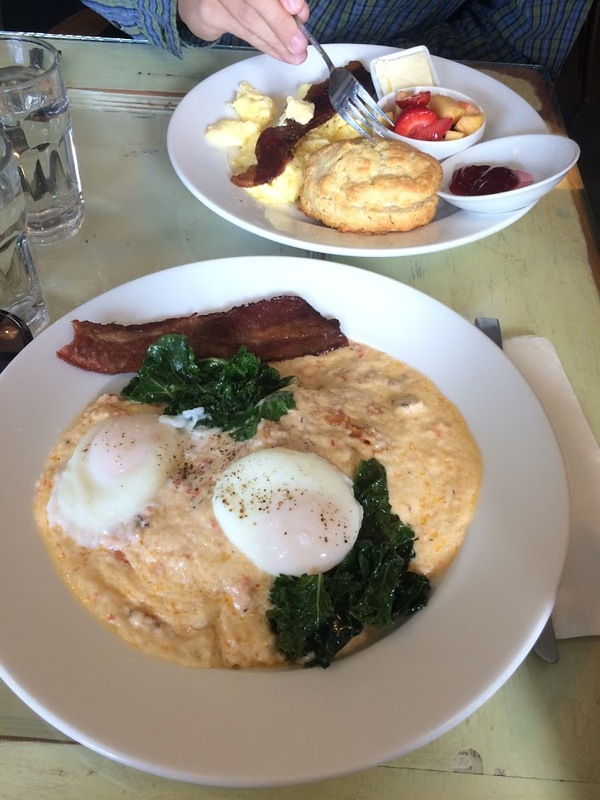 I have visited Seattle a few times, and one of my favorite restaurants was called Poppy. It is in the Capitol Hill area. They offer different sets that are each made up of about 6 or 7 small dishes. It was unique and very tasty! Best of luck with your move! Thanks so much for this suggestion Kimberly I’ll have to go there for sure! !